This all-natural cleaner will deodorize and sanitize your pressure cooker so your monkey bread doesn’t take like chili. 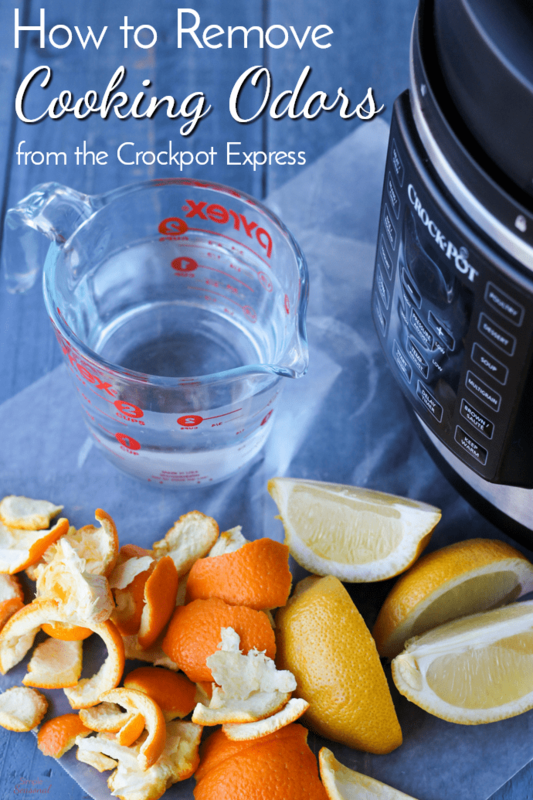 Learn how to remove cooking odors from the Crockpot Express (or other pressure cooker) and keep food tasting great! I love my Crockpot Express. Which means I use my Crockpot Express. I love Mexican food. Which means I cook a lot of it…in my Crockpot Express. But things like pepper, cumin, and chili leave strong odors behind after cooking! 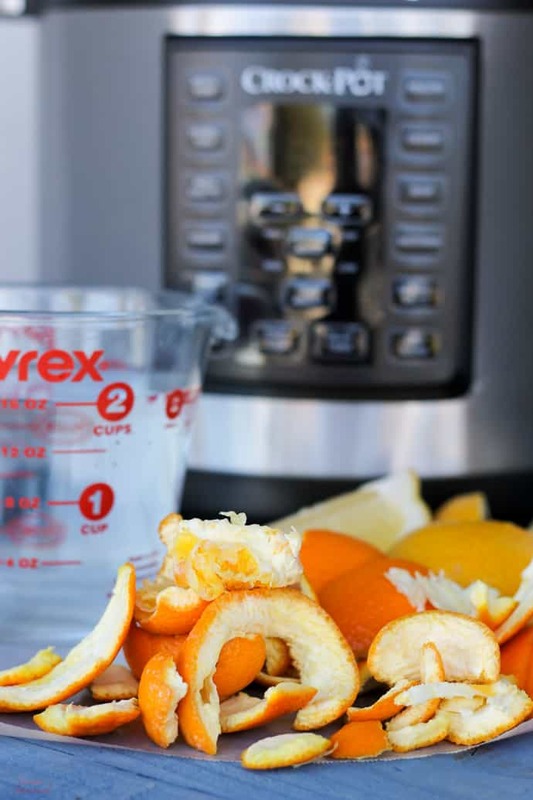 If you’re cooking similar recipes it’s no big deal, but if you want to make a dessert, for example, you’re going to want to know how to remove cooking odors from the Crockpot Express. 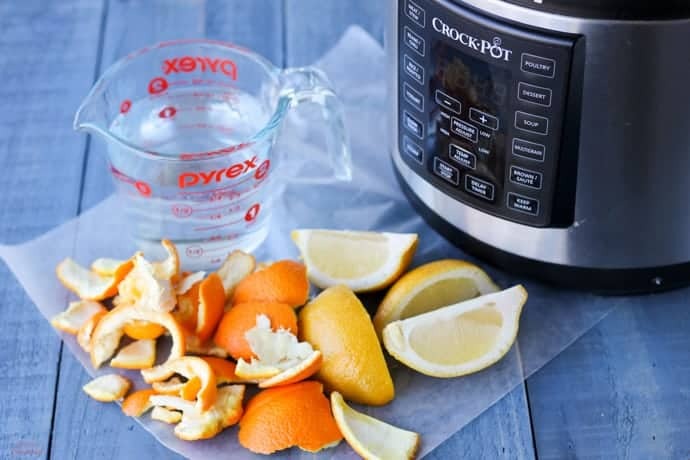 If you’ve tried cleaning the gasket and you’re still stuck with cooking odors, this is a quick and natural way to clean the whole Crockpot Express. It will help clear out any debris and lingering smell in the steam release valve, too. Pour the water and white vinegar into the cooking pot. Add the orange and lemon. Cover, lock the lid and close the steam valve. Press “steam” and set for 5 minutes. Allow to naturally release pressure for 3-5 minutes after the cook time is over. Open the steam release valve (careful!) and do a quick release for the rest of the pressure. There will be a little spluttering, but you want to force that water and air through there to get the valve clean as well. Rinse out the cooking pot (pour the contents down the garbage disposal to clean and deodorize it, too!) dry, and store with the lid upside down. Looking for more tips and recipes for the Crockpot Express? Join our Crockpot Express Community Facebook group here! In the meantime, check out this Crockpot Express Cooking Guide and FAQ’s. Thanks. You have well written recipes, great ideas and a nice sense of humor! Thanks for getting the stink out of my CPE.